Several sections within the Productivity Commission’s ‘Better Urban Planning Draft Report’, including Chapter 7 & 8 and section 9.2 require further consideration prior to any recommendations for legislative change, advises the Resource Management Law Association. 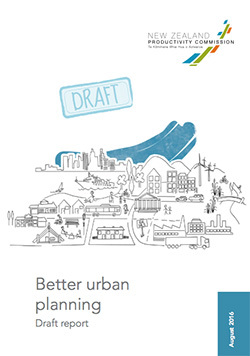 While the Resource Management Law Association (RMLA) recognises and supports the Productivity Commission’s objective to achieve the most appropriate system for allocating land to support positive social, economic, environmental and cultural outcomes, it has noted its concerned that the recommendations set out in the Better Urban Planning Draft Report may not, in a number of respects, achieve these outcomes. With respect to Chapter 3 addressing the ‘rationale for planning’, RMLA notes that a redefinition of the ‘Environment’ into the ‘built’ and ‘natural’ environment, and applying separate planning approaches to them, could be overly-simplistic and will not provide for sound integrated management of all resources. The likely result will be additional complexities in legislation and practice. RMLA suggests that, prior to recommendation of any legislative change, the Productivity Commission considers the complex interrelationship of planning as a holistic method; and that it reviews the capability of the existing legislative system and instruments to address some of the concerns raised in the Report. Referring to section 9.2 of the report, the RMLA flags the need for structural infrastructure, such as education and health facilities, to be recognised within the context of urban infrastructure. RMLA also requests the Commission to recognise the broader potential benefits of spatial planning, such as greater collaboration and risk management via stakeholder engagement, and more effective management of natural and cultural values. With regard to the Report’s recommendation that a permanent Independent Hearings Panel will result in a reduced role for the Environment Court, the RMLA notes that on the contrary, declaratory proceedings in the Environment Court are likely to increase as any new legislation takes effect, while the High Court will come under greater pressure with IHP-related question of law arising from the IHP process. Rather than a reduced role for the Environment Court, RMLA suggests that the introduction of an entirely new planning regime will likely result in the need for greater assistance from the Environment Court in ensuring the correct interpretation and application of the new legislation. “While the RMLA is supportive of the Productivity Commission’s efforts to achieve a more efficient system for land allocation, further consultation on the key points highlighted in RMLA’s submission is advisable, prior to formal recommendations for legislative change being made”, said RMLA President Maree Baker-Galloway. To read the RMLA’s full submission, please click here.